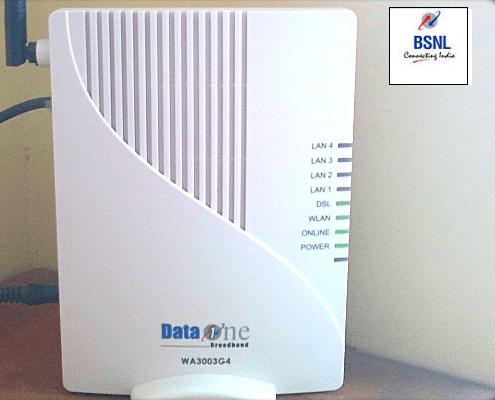 BSNL is the most widespread network across the country and it is serviceable in places where no other network is. Its broadband services are widely popular too because of the fixed line penetration of the company in the nation. But at times we tend to witness lower download speeds than usual and often end up blaming BSNL for it. So here are some tips that could help you determine as to why your connection is slow and how can you speed things up. The first and foremost thing to check for is if you’ve exceeded your FUP (Fair Usage Policy). Every plan (even the unlimited ones) have a stipulated limit up till which they’ll offer you higher speeds. So you need to see if you have surpassed your download limits. Bsnl broadband speed booster Tip: BSNL’s servers might not be the best one out there and your browser searches for the IP address every time you try to view a website. Shifting to an OpenDNS or Google DNS will surely help you boost your browsing speeds which will also help to see some changes in your browsing speed. Just turn off the auto updates of your system. These consume a lot of data and with downloads going on in the background, you often lose out on browsing speeds. This way you can speed up your browsing speeds and not blame BSNL for doing so. Yes, they take a day to take care of your complaints but their coverage is surely unmatched. I can understand providing service to such large network is very hard but personally speaking…BSNL broadband service is waste of time, money, and most important your work. Very hopeless, & useless speed. Even BSNL office donot respond to your problems. I cant explain in words how angry and helpless I am once I started using this service. speed of 512 kbps and 61.44 KB/S are almost equal as former is in bits and later is in byte.